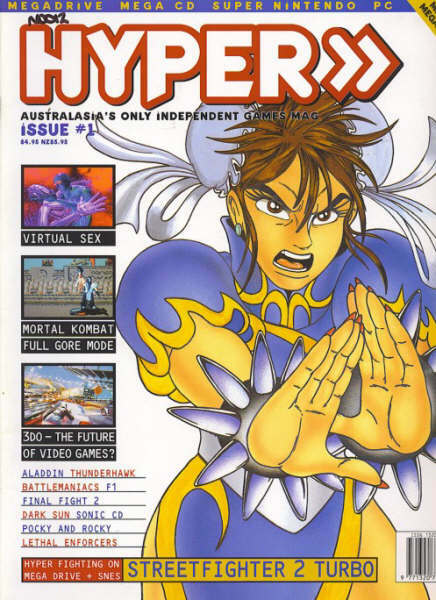 Just wanted to give props to Retro Gaming Australia’s latest additions – they’ve just release an excellent wiki-based database relating to the gaming sector in Australia (including some excellent coverage of Hyper, Sega Megazone and The Zone, three of my favourite slices of Australian gaming media), as well as an archive covering magazine cover scans. These both join their excellent/extensive Google docs-based Australian game magazine score review archive, TV ad archives and video game magazine ads. In a perfect world of course, we would be able to grab all the back issues of Hyper and Sega Megazone in a PDF-like format to capture the history of gaming magazines in this country perfectly, but that’s unlikely to happen unfortunately. I for one would love to see some conversions of the old print masters into PDF to peruse on my PC or iOS device, but the return on the investment would probably not be sufficient given the time needed to do this. Retrospekt – Coming out of Adelaide, Retrospekt features reviews, tidbits, guides and other thoughtpieces on retro gaming in Australia. Of special note is its coverage of DJ TR!P’s Ultracade series, and entertaining ventures to local specialty stores. The recent C64 special (part 1) also gave me the warm fuzzies. Retro Game On – Written by Brendan, who happens to be from Perth and enjoys wearing pants. He’s also recently taken steps to attack a mangled Game Gear with a soldering iron (good luck! My soldering iron and I regularly catch up to discuss current events and make smelly burning solder smells) and bought Dreamcast games in France for a good price from a reluctant business owner. That reminds me of the time when I made a poster of Rocket Knight Adventures back in 1993. It was hand-drawn and everything, and included a quote from the Sega Megazone review that mentioned it being far more enjoyable than a night with Cindy Crawford and a barrel of jellied eels. I’m sure my parents were delighted that their 11-year-old son would put such a memorable comment on a poster about a video game in 1993. Now I feel sad because it reminds me that I sold off all my video game magazines for practically nothing on eBay when I started Uni in 2000 in an effort to have something of a right-of-passage and farewell High School Sean, as well as scrape some extra cash for Uni life (a serving of chips and gravy from the Unibar made for a cheap but tasty lunch). Now as a man-child in their late-20s (with an understand wife), I regret selling everything off. But I rest at ease in the hope that someone else is dancing a merry jig with their bargain purchase. So, Insert Credit is back in all its glory. Brandon & co.’s manifesto also reminds me I should be a better writer. We’ll see how that goes. Sometimes I wonder which direction to take this blog – a “serious” treatise on old games, hardware modification tutorials, “look what I bought!” picture galleries, recording a gaming session, reviews? The end result is a bit of a mash, but maybe that’s not such a bad thing. The whole point of this blog is to act as a “catch-all” for my thoughts on video games, and given my time dedicated to actually playing games is sporadic and my thoughts on the topic often jumbled, it’s probably a good manifestation of what’s lurking inside my cranium. If nothing else, at least it’s something to think about. In the meantime, go and read Insert Credit – I used to check it out regularly for many years, but things dried up in 2009-ish, so it’s good to see everyone back at it. I can only hope one day they’ll cover the amazing news that Valis will be making a proper comeback on a console of some sort as a platformer, and not as a dodgy game on the PC. Jeremy Parish’s gaming blog – not necessarily retro, but often covers old games along with the new ones. I’ve been listening to Retronauts since late-2006, so the blog makes for good reading. It’s also a frequent reminder I need to get around to ordering GameSpite Quarterly, as well as some other print-on-demand eMags. Another blog I discovered via Guru Meditation, but this one has an emphasis on old Commodore stuff (well, so far anyways), so plenty of Amiga and C64 goodness. I love my C64 and am only a fledgling Amiga gamer (didn’t have one back in the day – we went from our C64 in 1988 to a 386DX40 in 1993), but there’s some great stuff in there. I’ve done some random Googling for updated/maintained blogs on retro gaming a while back and didn’t come back with much, so I’ve started checking out recommended sites from other places, or sites from people commenting on other blogs and figured I’d return the favour.